I graduated from the University of North Carolina in 1993. Even then we questioned why any soldier, not to mention one abstracted from a war that divided the country in an effort to preserve the horrible institution of slavery, should be in such a position of honor for all to see. The purpose of Confederate remembrance is to embrace those principles of white supremacy. 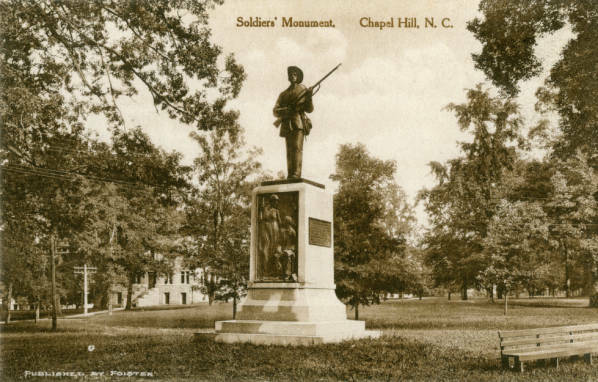 This is true of Silent Sam and of other monuments that were erected in an attempt to revise history. Keeping them up does not help us remember our past, but instead creates a false memory in which racism didn’t shape our country. This fake history prevents us from being able to understand our present, in which racism is clearly alive and well. Putting the statues up was an effort to erase history. Taking them down moves us one step closer to better understanding our past and hopefully making a better future. “These statues are not just stone and metal. They are not just innocent remembrances of a benign history. These monuments purposefully celebrate a fictional, sanitized Confederacy; ignoring the death, ignoring the enslavement, and the terror that it actually stood for. “To literally put the confederacy on a pedestal in our most prominent places of honor is an inaccurate recitation of our full past, it is an affront to our present, and it is a bad prescription for our future.